Perhaps you saw our recent post about getting invited to display at the BHLDN wedding fair at the Anthropologie store in DC. Even though it's been years since I was a bride-to-be, I STILL find myself swooning over all of the items in the BHLDN gift shop. So prior to the event, we collaborated with their team to design a bride-to-be curated gift box to giveaway to one lucky bride who stopped by our booth. 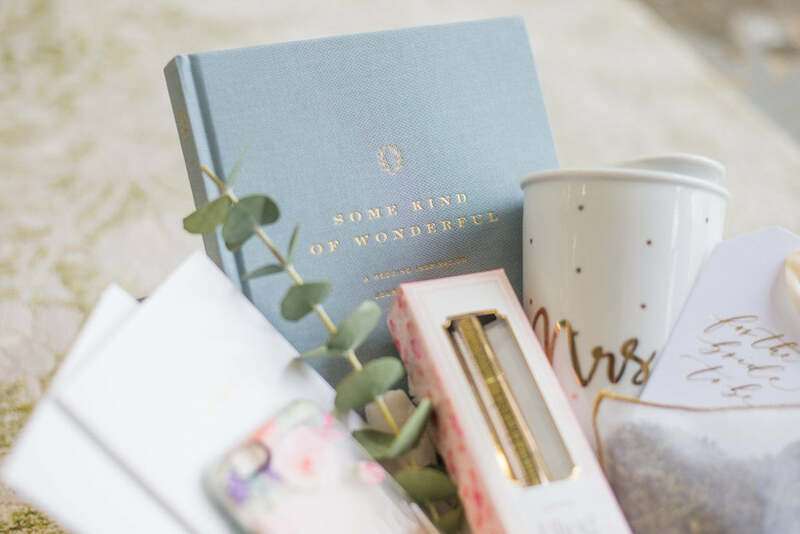 Before I announce the winner though, I need to tell you about some of the BHLDN gift items we chose for this gift box because they...are...amazing. 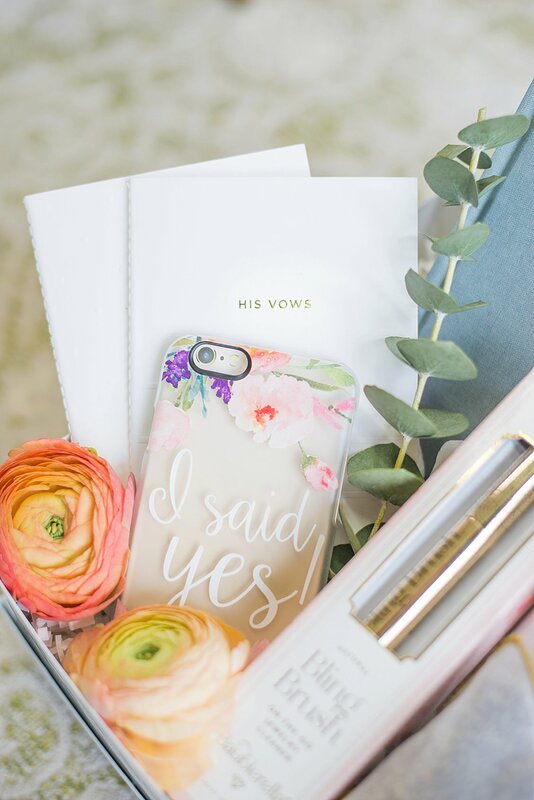 In fact, one bride who visited our booth said she didn't want to enter our giveaway because even though she'd only been engaged for a few weeks, she had already purchased ALL of the very same items for herself. So funny! The lucky winner will receive His & Her vow books, an "I Said Yes" phone case, a hardback linen-covered wedding planning journal, a "Mrs" coffee carafe, a Bling Brush to keep the engagement ring like-new, and a lavender sachet perfect for the lingerie drawer. For the gift packaging, we chose a sleek white gift box and finished it off with a gold foil calligraphy gift tag, blush ribbon and greenery. And now, drumroll please....Sarah Amick, you are the winner!!! Please email us at hello@marigoldgrey.com to coordinate the details. 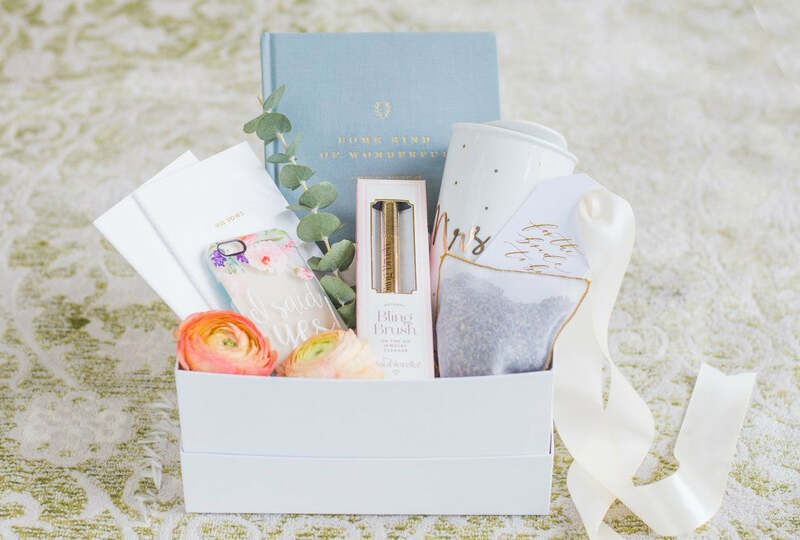 A huge 'thank you' to BHLDN for the invite to participate as well as all the couples who took time to stop by our booth and chat wedding welcome gifts, bridal party gifts, groomsmen gifts and restroom baskets with us. We absolutely loved meeting you!